What is veterinary search engine optimization and why is it important? How can VetNetwork increase my Google and search engine rankings through veterinary SEO? How do search engine rankings work? I did a Google search for my veterinary hospital and nothing came up! Why isn't my website listed? Why does my hospital have one ranking in Google search results and a different ranking in Yahoo! search results? Will my search engine rankings stay the same or will they change all the time? How can I get better search results than other veterinary hospitals in my area? Does VetNetwork offer custom SEO plans to increase my veterinary hospital's website rankings? There are millions of users on the internet searching each day for everything from veterinary hospitals and recipes to car repair tips and medical information on billions of web pages. With so much information out there, it's easy to get lost among all those other sites. Google and other search engines help users wade through all of these web pages and find relevant websites. A high search engine ranking for your veterinary hospital's website means that users will see - and visit - your website first. The easier your website is to find, the more likely it is those users (most likely pet owners in your community) will become new clients at your veterinary hospital. Search engine optimization (SEO) is a way of customizing your website so that Google, Yahoo and other search engines place your veterinary hospital website at the top of their website rankings. How can VetNetwork increase my Google and search engine rankings? The SEO staff at VetNetwork stays on top of the latest trends in search engine optimization to better help increase your veterinary hospital website's search engine rankings through veterinary website optimization. Because we only work with veterinary hospitals and veterinary organizations, we know what local pet owners are looking for when searching for veterinary hospital websites. VetNetwork works closely with clients to develop strong keywords, page titles, and keyword-dense copy for your website. We submit your site to Google, Yahoo! and other major search engines as well as local search engines to ensure that your veterinary hospital website achieves high rankings in local search results. Search engines use automated programs – often called "robots" or "spiders" –to examine websites and add information about the site to a search index. These spiders examine the text on the site for relevant keywords, look at the metatags and alternate text (text associated with photos and graphics on the site) on the website and inventory links to and from other websites that lead to your site. Some search engines also monitor how often your site is clicked on in search results for your keywords – for instance, if a lot of users click on a link to your site after searching for "Seattle veterinary hospital or veterinary hospital in Seattle," the search engine will view your site as more relevant to those search terms. This data is plugged into a series of complex algorithms that rate and rank each site. The higher your hospital website's ranking, the better. The higher your website's rankings, the more visitors to your site, and ultimately, more phone calls for appointments. There could be a number of reasons for not showing up on Google. If your veterinary hospital website is new, Google and other search engines may not have added your site to their indexes. Because there are billions of sites on the internet (with more being added every day), it takes anywhere from a few weeks to a few months for search engines to find your site. If you have an old or outdated website for your veterinary hospital, or if it hasn't been updated in a while, your site may have fallen far in the rankings. By subscribing to one of VetNetwork's customized SEO packages, your veterinary hospital website not only will be quickly noticed by Google and other search engines, it will also achieve high rankings. Every search engine collects different kinds of data from websites and uses different algorithms to interpret that data. While all search engines are looking for basic data from each site – keywords, alternate text, page titles, etc. – each search engine ranks that data differently. The veterinary SEO staff at VetNetwork can optimize your site so that it achieves high placement not just in Google search results, but Yahoo! and MSN search results as well. 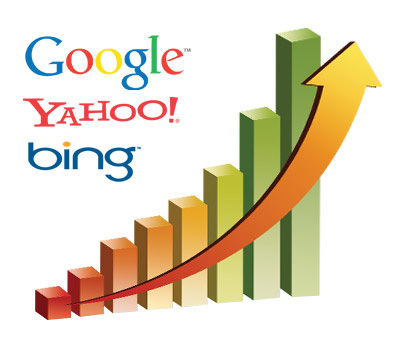 Search engines rankings are fluid and constantly changing. While your veterinary hospital website may rank near the top of the results one day, a month later, it may drop two or three spots. This is because search engines are constantly re-crawling your website in search of new information. The more fresh content you have on your site, the better. Spiders like websites that are updated frequently and will return to crawl your hospital's site more often if there is new content. If your veterinary hospital's website is old and outdated, spiders will return less often and your rankings will go down quickly. If your veterinary hospital is located in an area with heavy competition, veterinary search engine optimization is necessary for achieving high rankings. Along with submitting your website to Google, Yahoo! and other major search engines, our SEO experts also submit your hospital's website to major local website directories (Google Local, Yahoo Local, etc.). Search engine rankings may vary depending on where your hospital is located. Improving local search result rankings in a small city is easier than increasing rankings in a large city or metropolitan area. But no matter where your veterinary hospital is located, the qualified SEO experts at VetNetwork can help your veterinary hospital website stand out from the rest of the pack. Please call VetNetwork today for more information about the search engine plan that is best for your hospital's website. A phone call to us means results for you.